Salads don’t have to be boring. You can make a wholesome and filling meal by adding your choice of vegetables, fruits, nuts, rice, pasta, quinoa, bulgur wheat or whatever you like. The final combination should look colourful and appetizing. 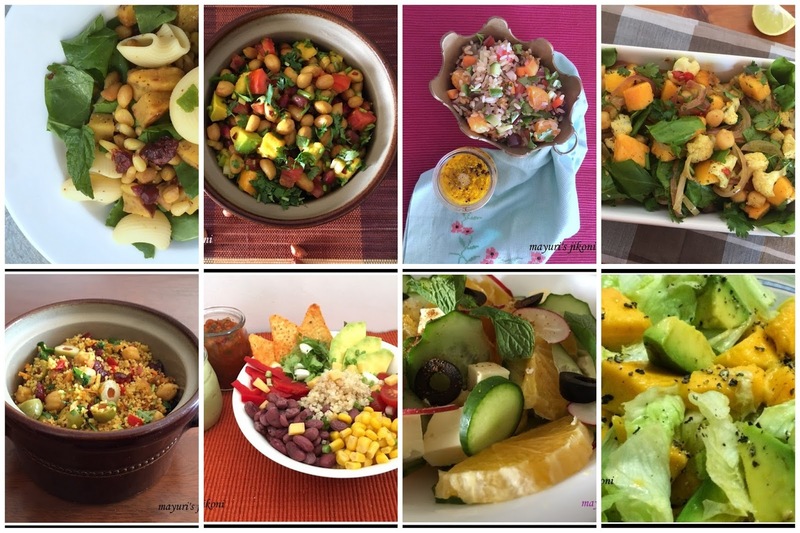 Here are a few salads you can make as a light meal for dinner or even as packed lunch. Just pack the dressing separately in a little jar or bottle. Awesome array of salads!Makes my mouth water! Copy and paste this link on google search. Or just point the cursor to the name Sweet potato and Pasta salad… click on it.